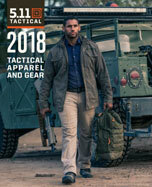 From our traditional Twill or Taclite tactical duty shirts to our innovative, hi-tech MultiCam® Rapid Assault Shirt, 5.11 TDU shirts offer full-featured functionality, expert craftsmanship, and enhanced durability to give you maximum performance and reliability across the board. Built to keep you mobile, agile, and in control during high stress situations, our TDU shirts offer superior tactical utility, unmatched flexibility and responsiveness, and rugged resilience in the harshest environments. Reinforced with modern materials, crafted with precision engineering, and designed with input from real-world tactical operators, our TDU shirts are built to overcome any obstacle. Accept no substitutes.